Do you Play Tales of Zestiria? Join GameHunters.Club our members share free bonus, tips, guides & valid cheats or tricks if found working. GameHunters.Club is a Fan Site and is not endorsed by or affiliated with Tales of Zestiria. All Trademarks are the property of respective owners. If you love this game, support it by purchasing premium items in the game or follow the official Tales of Zestiria social media channels. 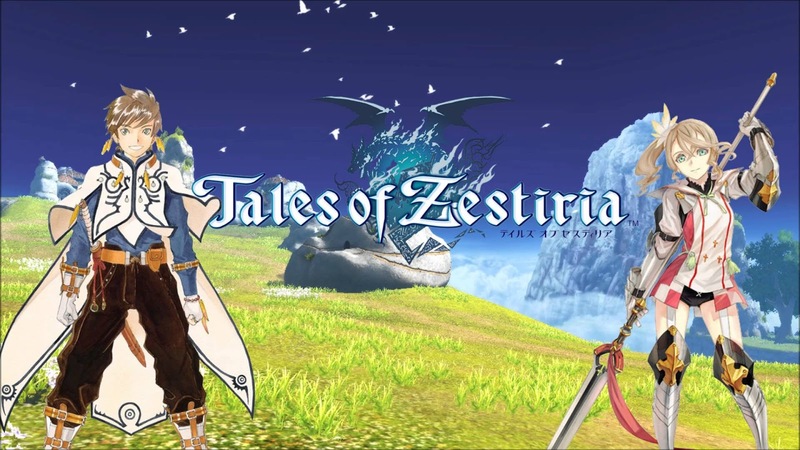 24 Cheats in Tales of Zestiria Hit Points 1 KO Grade + more! All 24 Cheats in 1 Cheat Table. Download Tales of Zestiria cheats here. Below is the Tales of Zestiria Item Augmentations Table a reference for use in cheat programs like cheat engine. Add comment if you want to update me the table. 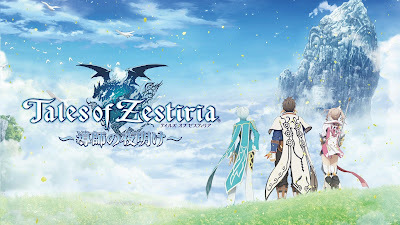 Join the Forum, Discuss anything about Tales of Zestiria. You can talk about tips, tricks, cheats, ask for help or simply introduce yourself to the club. These are the most recent topics and posts on Tales of Zestiria Forum. Do you know any of this topics? 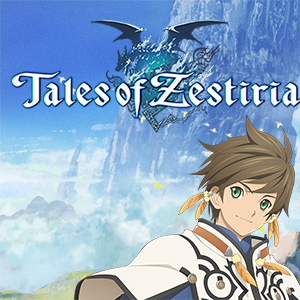 Help players by posting about this topics on Tales of Zestiria Game Post section. Magilou knows how to strike her opponents… and a cool pose! Which is your favorite GIF from the Tales of series? Share it in the comments! That Monday feeling… Be honest, which one are you today? A former imperial knight, Yuri Lowell originally set out to pursue a thief who stole a vital device from his people. While he may come across as sarcastic and cynical, he is ready to save lives, even it means risking his own. Yuri’s loyal battle companion Repede will stand proud in your Tales of collection! This exclusive 19-cm resin figurine perfectly recreates the iconic pose of our favorite Tales of Vesperia sidekick. Pre-order: https://fcld.ly/repedefigurine *The figurine you’ll receive may be slightly different. Need a little Monday motivation? This should brighten up your day: Tales of Vesperia: Definitive Edition launches on January 11th 2019 on PS4, XB1, PC Digital and Switch! Here’s a glimpse of a very special edition you’ll be able to lay your paws on. Stay tuned for more! In case you missed it: Tales of Vesperia Definitive Edition is coming to PS4, XB1, PC and Switch this Winter! Including the content of the PS3 version for the first time in Europe, embark on an amazing adventure with Yuri featuring both JP and EN voice overs! Tales of Vesperia is back with Tales of Vesperia: Definitive Edition. A remaster of one of the most beloved roleplaying games ever created! Experience a story like no other, complemented by a robust combat system, a memorable cast of characters and a soundtrack that you’ll be humming for a long time. Dive into the definitive version of Tales of Vesperia with characters and content never before seen in the west! Look for Tales of Vesperia: Definitive Edition, this winter. Tales of Vesperia Definitive Edition is coming to PS4, XB1, PC and Switch this year! Including the content of the PS3 version for the first time in Europe, embark on an amazing adventure with Yuri featuring both JP and EN voice overs! The team at BANDAI NAMCO wishes you happy holidays! We can't wait to see you in 2018 for more Tales Of adventures! Until then, will you find all the references - not only from Tales Of - hidden in our Season Greetings card? PLAY our Tales of musical quiz! Can you guess which game the tracks are from? Don’t forget to get Tales of the Rays, the All-Star Tales Series mashup out on iOS and Android http://bnent.eu/talesoftherays! We’re back with a second Tales challenge video! Will you guess which characters appear in the hidden images? Don’t forget to download Tales of the Rays, the ultimate cross over game out now on iOS and Android http://bnent.eu/talesoftherays. It’s international #BookLoversDay! Shout out to all those who love books like our own #Magilou! Is Magilou your TalesOf Valentine? Do you like her personality or magical battle artes more? Velvet Crowe is brought to life in this amazing stream featuring Sakimi chan and brought to you by DeviantArt. Enjoy! Tales of Berseria releases Jan. 24th on PS4 and Jan. 26th on PC via Steam! Grab your copy @ http://bit.ly/2gdoOns 10 years ago, a Scarlet Night rose and with it came the daemonblight. Famine, destruction and chaos reigned. But then The Advent came and with it, a savior. It is Midgand's savior that Velvet vows to kill! Watch the Launch Trailer for Tales of Berseria and get ready for Velvet’s tale of revenge! Beautiful Colette cosplay by Melusine! There's more pictures on her page, check them out! Happy Holidays everyone from Laphicet and the Tales of Team! Dear Tales of Community, We read about your concerns regarding some changes between the Japanese and the Western versions of Tales of Berseria, the next game from the Tales Of series to be released on January 27th 2017 on Playstation 4 and PC. In the western game footage released on December 8th (https://youtu.be/TLbdbwjtxZ8), you discovered a scene that has been reworked compared to the original Japanese game. As a company, Bandai Namco Entertainment has to follow the regional regulations regarding video games content to allow the games to be released with appropriate rating. The violence depicted in the original Japanese scene in Tales of Berseria would not allow us to keep our current 16 rating. A major change in our rating wouldn’t have allowed to share the game with as many fans as we’d like and it would have prevented us many opportunities to show the game on social networks, websites and even during events. Therefore, instead of deleting the sequence, we decided to rework a portion of the scene to keep its importance in the story. We’ve ensured its impact in the story is the same. Even if the exact actions are different, their consequences are exactly the same: the defining moment changing Velvet’s Story and opposing her to Arthur Collbrande, the moment it becomes a tale of emotions versus reason. We made this modification out of necessity, be sure of that. You may have read in an interview that we had promised not to censor the game in the West. The statement applied only to the Velvet’s outfit at the time, and we did our best to keep the game as close to the Japanese version as possible. This is the only scene which has been altered from the Japanese version of the game. Everything else is exactly the same as the Japanese version including costume designs which you will be able to see for yourself once we release the demo on January 10th. Tales of Songs will be part of the Orchestral Memories concert, which first date will be on February 4th in Paris! For this first concert, we will receive special guests: the composers Motoi Sakuraba and Go-Shiina! Tickets are available at http://shop.wildfaery.com. Additionally, 150 VIP tickets will permit spectators to meet & greet both Motoi Sakuraba and Go Shiina for signing sessions and photo shoots after the concert! Happy 10th anniversary to our friends at Abyssal Chronicles - Tales of Series Fansite! If you are looking for even more Tales of news, don't forget to check them out! Coming soon on the Tales of blog: new articles by Abby Yao, administrator of the website! It's official: Tales of Berseria will be out on January 27th in Europe and on the 24th in the US! What: A Tales of Cosplay Contest hosted by DAISUKI.net and Bandai Namco Entertainment Where: Anime Expo 2016 // DAISUKI.net Booth (2901 South Hall) - Official Tales of Series Cosplay Gathering When: Saturday, July 2nd // 4:30pm – 5:00pm. Who: Tales Cosplayers Details: Hey Tales of Cosplayers DAISUKI.net and Bandai Namco Entertainment want to see your Tales costumes stop by the DAISUKI.net Booth at Anime Expo 2016. We'll be holding a Cosplay Contest and the top Tales of Cosplayers will win some amazing prizes. More details to follow at the Bandai Namco twitter: @BandaiNamcoUS Hope to see you there! Learn more about Tales of Berseria and join the community on http://blog.talesofgame.com! Koyo our European #Talesof Ambassador's trip to Denmark isn't over yet but here's a sneak preview. Look forward to reading his adventures on the official Blog soon! Koyo our European #Talesof Ambassador has reached Denmark,wish him luck as he rocks his Asbel cosplay from Graces f! Tales of Symphonia is coming out February 2nd on Steam! Stop the video to find out which Symphonia character you are and tell us in the comments. Tag a friend to find out who he/she is! Are you coming to Japan Expo? We've upgraded our Karaoke track list! Our fans are back with new skits! And we'll elect the new European Ambassador! Check out the winners of the Mascot drawing contest. What amazing fanart! http://blog.talesofgame.com/?p=980 Thanks Abyssal Chronicles for hosting it! Check out our brand new Tales of Ambassador logo, featuring Lex Cosplay our current Tales of Ambassador! Get all the details on how to sign up for the European Tales of Ambassador election http://www.cosplayforum.com/viewtopic.php?f=1063&t=46108. Registrations will open Friday, June 12 at 9 pm (Paris time) and slots are limited! Photo by the wonderful N8e! The next European Tales of Ambassador election is happening on July 3rd at Japan Expo in Paris! Get all the details below on how to sign up (contains instructions in both French and English). Registrations will open Friday, June 12 at 9 pm (Paris time) and slots are limited! Tales of Symphonia Dawn of the New World is a direct sequel to Tales of Symphonia and one of the few across the Tales Series! Did you first play it back in 2009 on the Wii or last year on PS3? Tales of the Abyss on 3DS was released in 2011 and pretty much started the Tales of Renaissance in the West, following a two year hiatus. What was your favorite thing about it? Super awesome fan site Abyssal Chronicles is hosting a drawing contest! Draw your favorite Western Tales of mascot and win goodies provided by us! Details over there. Have you played Tales of Eternia? If you had to convince a friend to play it in one sentence, what would it be? Send us your fan creations via #IAmTalesOf! Super awesome fan site Abyssal Chronicles is running a favorite Western Mascot poll! Go over there to vote for your favorite and possibly win goodies provided by us! Voting ends tomorrow. Tales of Graces f released in 2012 in Europe. Can you believe it's been 3 years and 4 games since then?! Keep sending us your fan creations! It all started with Tales of Phantasia. And it's not stopping any time soon! Share your Tales Of 20th anniversary creations via #IAmTalesOf! Keep sending us your fan creations via #IAmTalesOf! Let's celebrate the 20th anniversary of the Tales series together!